Join us on Friday 26th April at 1.30pm as contralto Jane Cottrell returns to the New Room, accompanied by Philip Carter, with a programme of vocal solos and organ voluntaries entitled ‘Easter around the World’. Jane Cottrell is a talented singer and gifted organist who has played many times at the New Room. Her voice compliments the New Room’s beautiful acoustic and ensures for a wonderful concert for all music lovers. Jane says:Free concert with retiring collection. Jane will be accompanied on the Snetzler organ by New Room musical director Philip Carter. Philip Carter is the church organist and musical director at Totterdown Methodist Church. Philip has an extensive range of experience from devising training schemes to encourage new organists as part of the Royal School of Church Music, to managing British Methodist Youth Choir and Church Organ enthusiasts tours across Britain, Europe and America. Alongside his wife Pam, he was Conference Secretary of the Methodist Church Music Society for 10 years. 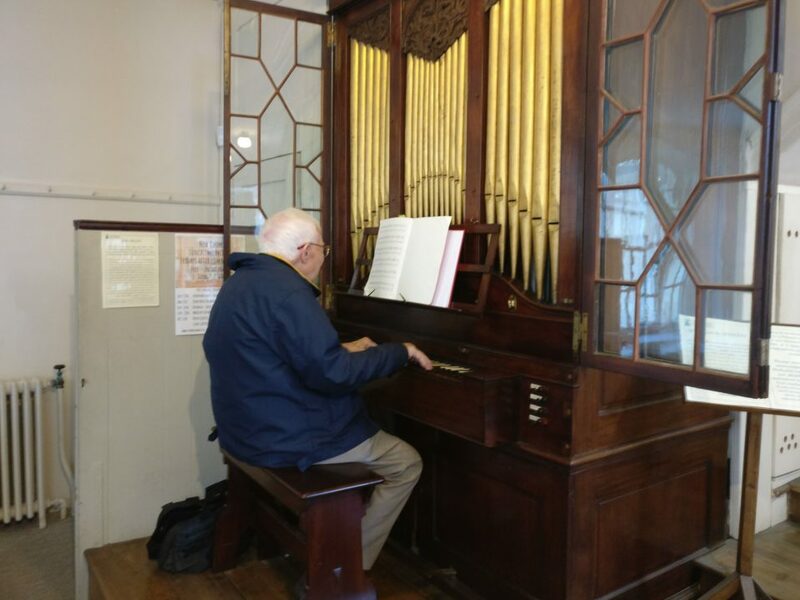 As musical director of the New Room since 1980, Philip has undertaken many concerts, festivals, hymn writing competitions, choir and musical events.